Ramzan Kadyrov has announced it is too early to decide on his participation in elections to appoint the head of the Chechen Republic because it would distract him from working on everyday issues. His term in the post expires in early April. On Instagram (Kadyrov’s preferred social network for private and political statements), the Chechen leader said he had been reminded by journalists that his term was coming to an end and was asked whether he intended to run again. “I have not thought about it. I am confident that the candidate should be chosen by the president of Russia. If he says that the person is fit to become the head of the republic and if he gets support from the people he should participate [in the polls],” Kadyrov wrote. “I don’t want to get distracted by these issues. I have not yet made any decision! Today it is important for me to fully fulfill the obligations I have; these are too large,” he added. The statement was posted after Russian business newspaper Vedomosti released an article reminding its readers that Kadyrov’s term in office would come to an end in early April. The Russian president must then appoint an acting head for the region and the new head of the republic will be elected by direct voting on September 18 from candidates proposed by political parties. Ziyad Sabsabi, a Russian senator from the Chechen Republic, told RIA Novosti that Kadyrov’s support among Chechens is extremely high, and if he chooses to run for a new term he would surely get the majority of votes. Vladimir Putin’s press secretary Dmitry Peskov told reporters on Wednesday that no decision has been made concerning the post of acting head of Chechnya. He also added that two months were quite enough to prepare a presidential decree on the issue. Kadyrov’s announcement, and the Vedomosti article that apparently provoked it, were preceded by a series of conflicts between Kadyrov and several Russian opposition figures. 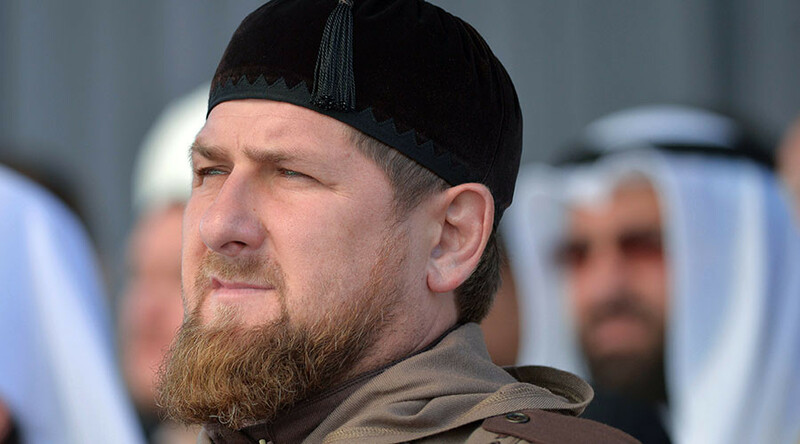 The Chechen leader has repeatedly attacked the so-called non-system opposition in his internet posts, labeling these people as attention-seekers working for money paid by Western special services. Opposition figures accused Kadyrov of pressure and threats. Mr Kadyrov replied that his negative statements were not about any opposition, but only about people who themselves violated the law and instigated others to do so. The chairmen of the Party of People’s Freedom and former Russian PM Mikhail Kasyanov have asked the Federal Security Service to launch a criminal case against Kadyrov. They say a video depicting Kasyanov in a sniper’s crosshairs posted on Kadyrov’s Instagram page, which had been quickly deleted by the service administrators, should be considered an attempt on the life of a state official. The FSB has not yet issued an official reply to this request. In late January, representatives of Chechen youth movements mounted a rally in support of Ramzan Kadyrov. The number of participants was reported as over 700,000 – about half of Chechnya’s 1.38 million population. Some of the slogans used at this event blasted Kadyrov’s critics as “traitors” and a “fifth column,” and accused them of serving foreign interests, in particular those of the United States.